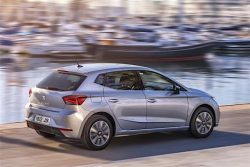 SEAT continues it’s campaign toward cleaner, more efficient vehicle technology with the arrival of the new 1.0 SEAT Ibiza TGI powered by Compressed Natural Gas (CNG). 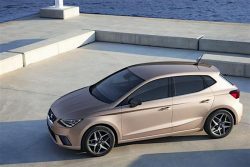 SEAT wants to demonstrate the potential of its brand with CNG models; the CNG-powered Ibiza follows the recent introductions of the Leon and Mii. The new 1.0 SEAT Ibiza TGI and Leon TGI will be present at the International Motor Show 2017 in Frankfurt, starting September 14. Compressed Natural Gas is the eco-friendly alternative to fill-in the gap between traditional drivetrains and the electric engine. And apart from that, CNG combines the best of both worlds, diesel and petrol, because in this sense, it emits 85% fewer nitrogen oxide emissions compared to diesel engines whilst decreasing CO2 emissions by 25% compared to petrol engines, as well as nearly all airborne particulate matter. The Ibiza 1.0 TGI will be manufactured on the same production line as the rest of the range thanks to the flexibility enabled by the new modular MQB A0 platform. It will be subjected to the same test standards of technical approval, quality control and durability, all with SEAT’s total guarantee and with all the qualities of the new Ibiza range in terms of safety, connectivity, design, comfort, precision and ride quality. The CNG fuel-system is factory-installed. The 1.0 Ibiza TGI has three fuel tanks available; one for petrol and two for CNG, providing a total combined fuel range of almost 1,200 kilometres (390 with CNG), with C02 emissions in CNG mode of only 88 g/km. “No other technology comes close to the 1.0 Ibiza TGI in terms of fuel range, and when compared with electric vehicles, the driver never needs to worry about running out of battery power or fuel,” the company claims in its press release. Available in Style trim, the 1.0 Ibiza TGI boasts low running costs thanks to the lower price of CNG and the fuel efficiency of its engine. The current average price of CNG in Spain is 0,91 €/kg. On a cost/km basis, CNG is approximately 30% less than for diesel and 50% less than for petrol. Finally, the new MQB A0 platform allows the New Ibiza to offer a compressed-natural gas (CNG) powered 90-PS 1.0 TSI engine, a first for the Volkswagen group. SEAT is the first maker to offer an engine of this type in this class. The car offers the same driving feel as its gasoline equivalent. The new SEAT Ibiza has been awarded two prizes in this year’s Automotive Brand Contest held by the German Design Council. One is as the Automotive Brand Contest “Winner” of the Exterior Volume Brand category and the other is as Automotive Brand Contest “Best of the Best” in the Interior Volume Brand category. The awards will be presented in Frankfurt on September 14. In June, it achieved its first major international award, in the month of its commercial launch, being named Best Supermini at the 2017 Auto Express New Car Awards. 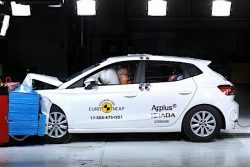 The SEAT Ibiza achieved 5 stars in the Euro NCAP safety tests.